Classic Episode Repost W/ All New Intro! Ep.139: Who’s Who In The DC Comics Universe: The Elongated Man. Then we talk about a movie I saw called Three Billboards Outside Ebbings Montana. I really dug it and I'll tell you all about it. After that it's onto the Main Event of the show where we learn all about the latest dude to appear on the DC-W Network.. The Elongated Man! We end the show out with some life advice based around The One Day At A Time theme song. It's a valuable lesson that I'm super happy to pass along to you..
Make sure to hop on over to Support The Report and check out how you can get the ISR Supertape VHS Tape! While helping to support the show. Man, we need all the help that we can get. Happy Halloween kids! This week we have a SUPER AWESOME episode of the show ahead of us. Let's start with the small stuff first. We lead off with a new song from ship DJ Iceberg Thirteen and then move onto a little talk about AMC's hit show, Fear The Walking Dead and then it's At The Movies where we talk about a GREAT movie I saw called Sicario. It was dope. Then it's on to the Main Event which is sure to be a classic bit of Toys R Us Report History. 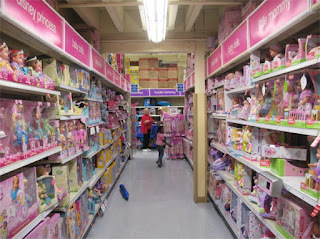 We went Ghost Hunting At The Haunted Toys R Us in Sunnyvale California. Watch this bit from Real People to learn more.. It's all in the episode though. So you can hear it there but it's also fun to watch. Basically it's all haunted up and me an my boy Iceberg Thirteen went down there to see what's what. I'm not a big believer in this sort of thing but we've came up with a recorded that might change my mind! You have to hear it. It's pretty creepy. Look dudes, this is going to be something people talk about for years. You wanna be part of that right? Like all cutting edge and in the know as far as what people talk about right? 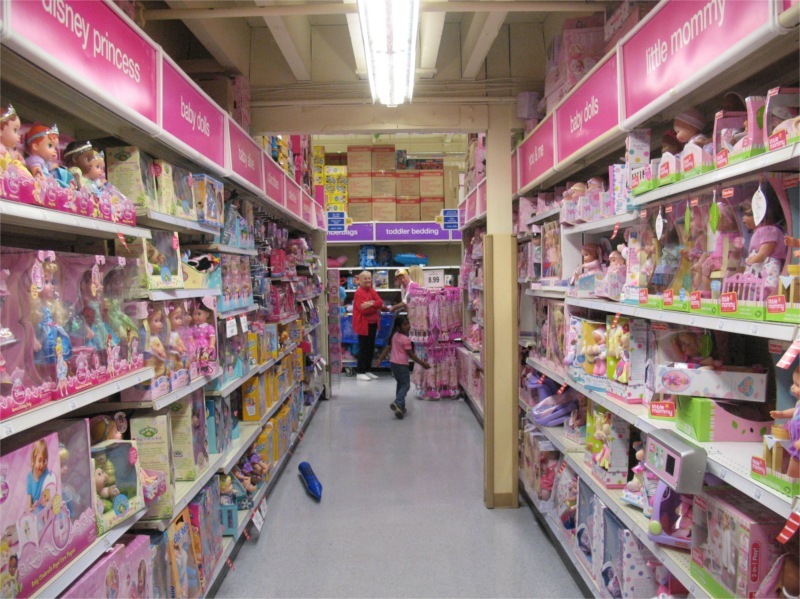 Make sure to tell a friend and make sure to hop on over to SupportTheReport.com and see what we can do for you for helping out with The Toys R Us Report. Any and all support is greatly appreciated..! Thanks again kids! Have a great Halloween! 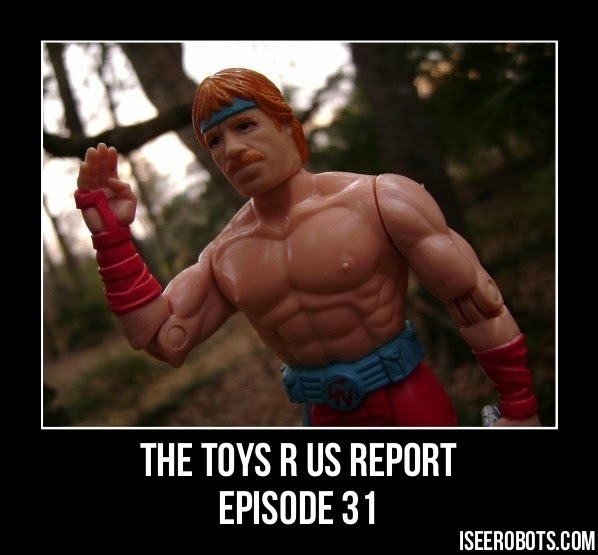 Classic Episode Repost: The Toys R Us Report Ep.119: Wonder Woman and Remco Sgt. Rock Toys! and Sweaters! Hey kids! I hope you all are having a safe and super fun 4th Of July. We're away from the moonbase this week but we all hope you enjoy this blast from the past classic repost. Hey kids! Thanks for stopping by. We have a super fun show ahead of us this week. We start off with some talk rap tapes and my recent interest in copping some, also sweaters. There is some sweater talk. It's fun. From there we hit up At The Movies where this week we tackle 2 movies, Baywatch and Wonder Woman. Then on to the main event where we have a super indepth, super fun look at a toyline from the 80's Remco's Sgt Rock! I start with a personal tale of shame and go from there. It's really fun and I'm sure you will dig it. We have a super fun show ahead of us this week. We start off with a little talk with Engineer Emily and then we move onto At The Movies where we examine a super weird movie that I saw called "Swiss Army Man" Dude, it was something else. From there we move on the main event of the deal... The Top 5 Pizza Toppings Of All The Time. Man, this is going to be a divisive list. Dudes are gonna flip their lids. I mean that. Finally we finish off with some talk about Riverdale and about a trip I took over to The Bowling Alley. I made a new bowling song and everything. It's a super fun show. I think your'e gonna dig it..
Classic Episode Repost! The Toys R Us Report Ep.118: Summer Movie Preview, Alien Covenant, Pizza Talk and Tons More! Hey kids. I have been racked by a bit of the flu so this week sadly it's gonna have to be a classic episode repost.. Sorry kids. 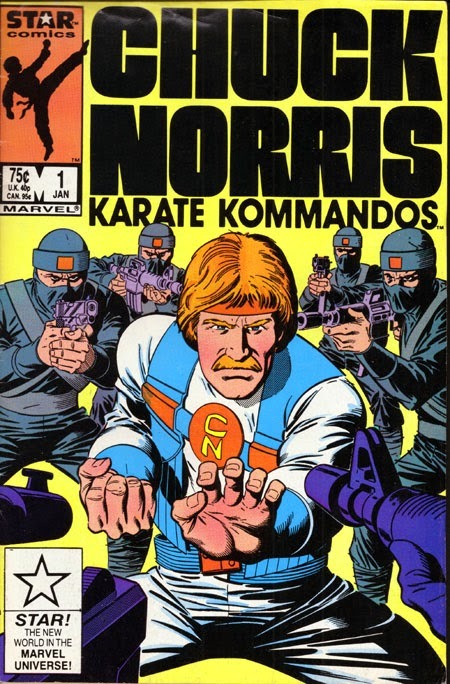 We'll be back next week with that promised GI Joe episode! Hey kids! Thanks for stopping by. We have a super fun show ahead of us this week. We start off with some talk about Deep Dish Pizza and a trip to a video store that I made.. It was fun and I'll tell you all about it..
From there we talk about a really good movie I saw called Chuck as well as Alien Covenant which was good, strange and gross..
Then it's on to the main event of the show where we dig in a bit and talk about some of the fun movies that are gonna come out this summer. On the final segment of the show we talk a few different things, Riverdale, comics and some other cool stuff. It's a fun show like always.. make sure to tell a friend! Hey kids! Thanks for stopping by. We have a super fun show ahead of us this week! I really mean it this time. It's super fun. We start off with me talking to Iceberg about the argument we had last week an believe it or not, dude plays a new song he's been working on. I was gobsmacked! Then it's on to me jibba-jabbing about some random topics. Comic books, The Cloak And Dagger TV Show, all sorts of stuff and then it's onto the main event where we take a look at all sorts of 80's WWF Wrestlers! I love wrestling so it was fun to get to talk on it for awhile! We picked up 2 new Patrons this week! That's always fantastic. The 1st is a long time friend of the show, Mr.Sensational himself, Gino Vega. He and Me go way back so dude, big up to you. The 2nd is a fella that I know from Twitter, he goes by This Guy Games, He goes by @ThisGuyGames over on Twitter. Make sure to give him a follow. Dude RULES!!!! Classic Episode Repost: Power Records Playhouse Ep.5 Davy Crockett Plus Much More! Hey guys! This week we're all away from The Station so our offering to you is a classic from the past. This is one of my favorite episodes of All The Times. You have Power Records Playhouse which is super fun AND A.B Silver. Believe it or not, I miss that guy sometimes... Here's what I wrote about the episode at the time.. Enjoy! Hey kids! Thanks for stopping by. We have a super fun show ahead of us this week! I really mean it this time. It's super fun. 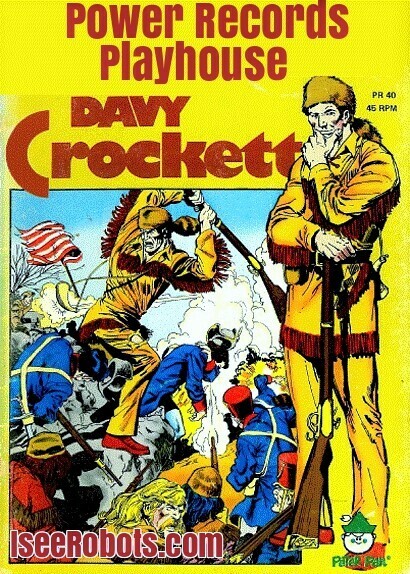 This week we take a listen to a sort of weird western tale of bear hunting and grinning, Davey Crocket! It's totally weird dude. Iceberg has some real issues with the dudes attitude. Give it a listen. It's sure to cause a chuckle. I hope so anyhow. Then it's on to At The Movies where we talk on Richard Linklater's latest, Everybody Wants Some. It's an 80's Baseball Flick with a great soundtrack. After that the show winds in with a Toys R Us Report where we talk about some Zootopia Toys, The Flea Market, The Supergirl Season Finale and Jonah Hex on Legends Of Tomorrow. Happy Halloween kids! This week we have a something a bit fun. A classic episode from the past with an all new intro by me, IseeRobots! 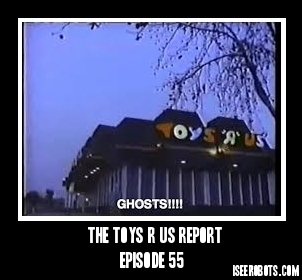 In the episode me and Iceberg do a bit of Ghost Hunting at the haunted Toys R Us In Sunnyvale California! 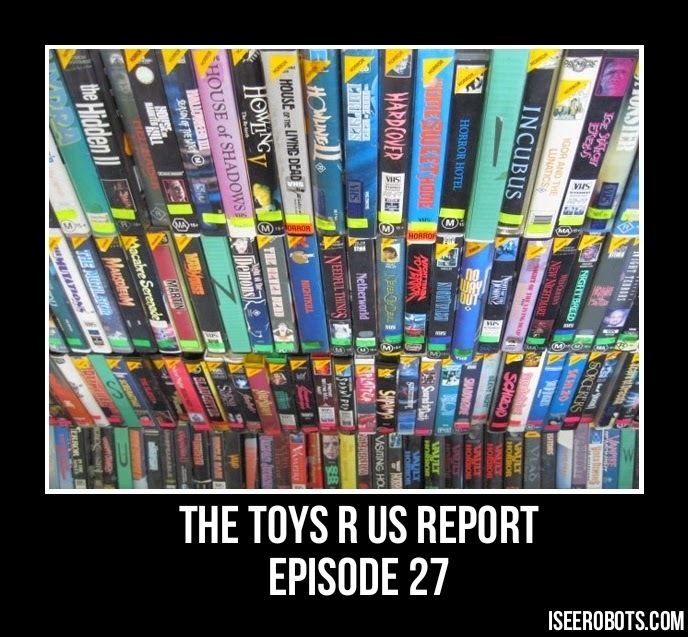 Hey guys this week we are taking a little different tact on the old Toys R Us Report. We are gonna spend a little time talking about Video Stores. 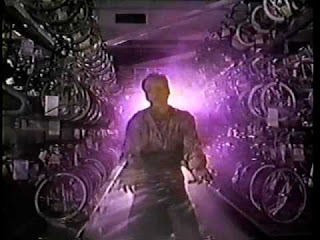 The recent closure of Bae's Rincon Video got me to thinking about my history in the video business as well as some general musings on VHS Tapes. I had a ton of fun making this episode and I think that you are really gonna dig it. While I was working there they filmed a scene from the movie Scream. Ya, the famous video store scene from Scream was filmed at Bradley Video while I was working there. Cool huh? I talk about that as well as the stand my town took against the terror of HORROR MOVIES!!! There is also a VHS review in the mix. I watched a tape called Cage with Lou Ferrigno. It was terrible and I'll tell you all about it. It's a great show like always, make sure to tell a friend!! Hey kids! Thanks for stopping by. This week we have a super fun show ahead of us. It's A Chuck Norris Spectacular. 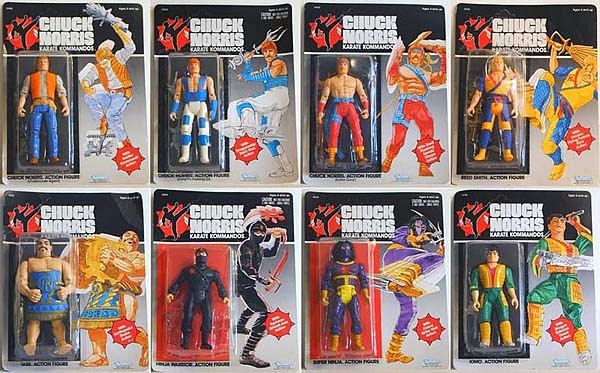 We take a look at THE MAN and the toy line he spawned, Chuck Norris And The Karate Kommandos. 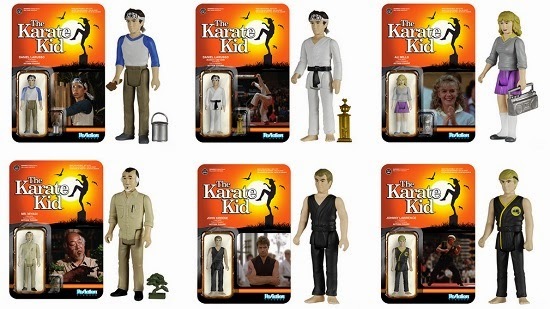 We take a look at the cartoon and the comic that came along with it as well as a little background data on the company that produced the figures, Kenner. It's some real interesting stuff. 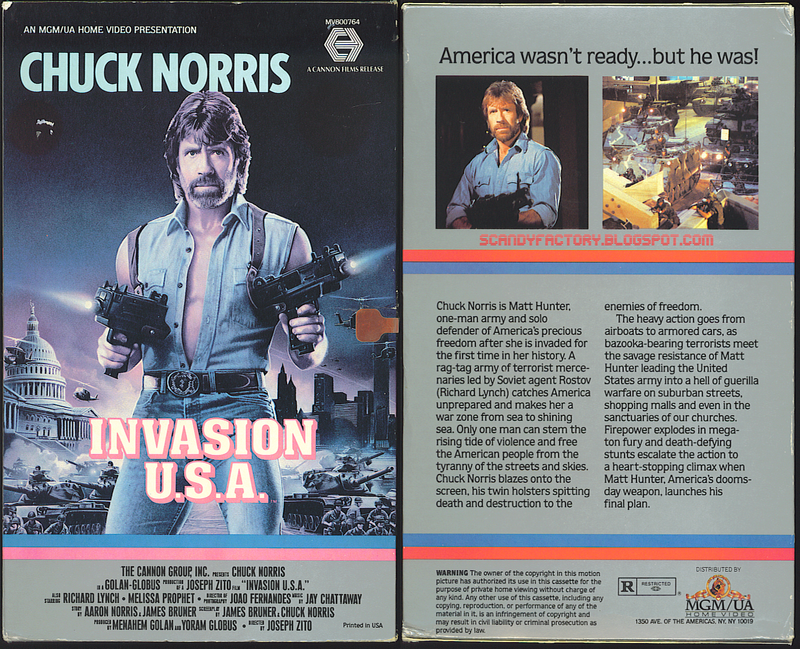 There is also a real neat VHS review, a Chuck Norris movie of course, Invasion USA! How great is that? Super great! Oh ya, can't forget the Blimp Talk!! There is some more of that and it's not to be missed. It's a pretty good show this week. Make sure to tell a friend and make sure to hop on over to Patreon and consider helping us out with a small donation! It's totally worth it.